Singapore, 25 January 2013 – Frasers Hospitality Pte Ltd (Frasers), a premier leader in serviced residences, marked the Grand Opening of its first hotel residence Capri by Fraser, Changi City/Singapore yesterday with the unveiling of plans to take the Capri by Fraser brand into the global marketplace, following its successful brand launch in May 2012. This includes the opening of two more Capri by Fraser properties this year, the 126-apartment Capri by Fraser, Ho Chi Minh City in March 2013 and the 240-apartment Capri by Fraser, Kuala Lumpur in November 2013. The Group is also in the process of finalising plans for more Capri by Fraser properties in Asia Pacific and Europe. Created by Frasers to meet the evolving needs of e-generation business travellers, the new urban-inspired hotel residence brand concept Capri by Fraser, is attracting strong market interest with its first property in Singapore enjoying a steady average occupancy of more than 80 per cent since it soft opened in September 2012. Bolstered by its strategic location in one of Singapore’s robust business districts, within close proximity to the Singapore EXPO Convention and Exhibition Centre, Capri by Fraser, Changi City/Singapore has been attracting strong corporate and MICE clientele from surrounding companies ranging from financial, logistics, information technology, telecommunication, FMCG to airline industries. Stays have averaged between three to five nights, with long stay bookings of over several weeks. Capri by Fraser Changi City/Singapore also scored an early coup of becoming the official hotel of the inaugural Korean Ladies Professional Golf Association (KLPGA) tournament in Singapore, within only two months of its soft opening. The Capri by Fraser hotel residence concept cuts through the conformity of typical hotels by offering residents an extensive range of facilities and customisable services together with the comfort and convenience of a full serviced residence. 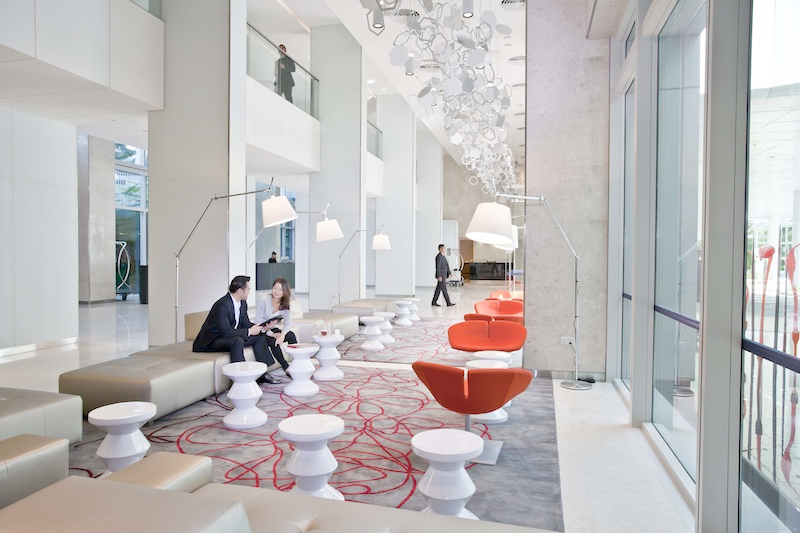 E-efficiencies such as iPad-activated checkins, e-Concierge and e-Print facilities are available to complement the always-on lifestyles of business travellers. Seamless complimentary high-speed Wi Fi Internet connectivity is provided to help residents stay constantly connected throughout the property – in the rooms and all public spaces. In line with its high-tech vibe, meeting and conference facilities are equipped with the latest audio-visual capabilities including interactive touch-screen panels and integrated whiteboard-projector features. A choice of food and beverage and leisure options, complemented by fully equipped kitchenettes and Spin & Play integrated launderettes, provide residents with the flexibility to choose how they want to work, stay and play. Capri by Fraser, Changi City/Singapore is part of the Changi City integrated development consisting of the retail mall, Changi City Point and business tower, ONE@Changi City jointly developed by Frasers Centrepoint and Ascendas. Frasers Hospitality Pte Ltd’s current portfolio, including those in the pipeline, stands at 76 properties in 41 key gateway cities and more than 12,300 apartments worldwide. 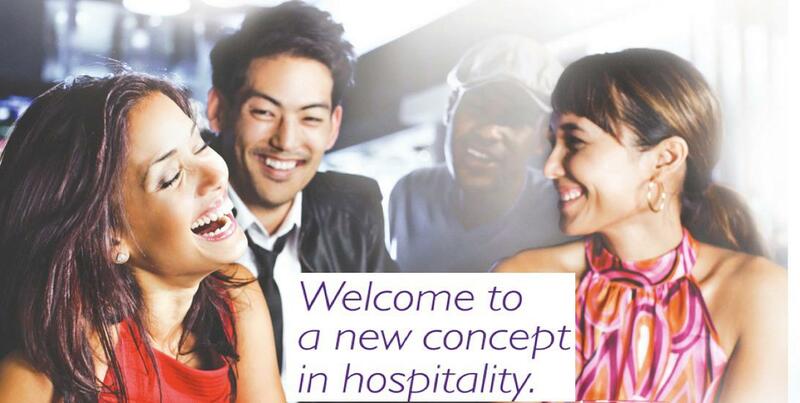 Frasers Hospitality, the hospitality arm of Frasers Centrepoint Limited, a wholly-owned subsidiary of Fraser and Neave, Limited, is a global serviced residence owner and management company with Gold-Standard residences across Europe, North Asia, Southeast Asia, Middle East and Australia. Asia, Australasia, Europe and the Middle-East. Its serviced residences management company, Frasers Hospitality, has award-winning gold-standard serviced residences in 31 gateway cities. Frasers Property, FCL’s international property arm, develops world-class projects in UK, Australia, New Zealand, China, Thailand and Vietnam. FCL also manages Frasers Centrepoint Trust (FCT, a Singapore-listed retail trust), and Frasers Commercial Trust (FCOT, a Singapore-listed office/business space trust). As a testament to its excellent service standards, best practices and support of the environment, the company is the proud recipient of numerous awards and accolades both locally and abroad. subsidiary companies across all three industries. Listed on the Singapore stock exchange, F&NL ranks as one of the most established and successful companies in the region with an impressive array of renowned brands that enjoy strong market leadership. It has shareholders’ funds and total assets employed of over S$8 billion and S$14 billion, respectively. F&NL is present in over 20 countries spanning Asia Pacific, Europe and the USA, and employs over 10,000 people worldwide. Singapore, 9 May 2012 – Drawing on its experience as a world leader in serviced residences, Frasers Hospitality Pte Ltd (Frasers) today unveiled its new brand, Capri by Fraser, the latest addition to its portfolio, which will include more than 73 properties in 39 cities worldwide within the next three years. Designed to meet the lifestyle needs of the digital generation, Capri by Fraser cuts through the conformity of typical hotels by offering residents an extensive range of facilities and customisable services together with the comfort and convenience of a full serviced residence. This includes the option of cooking and doing laundry while being constantly connected through high-speed and free Wi-Fi throughout the hotel residence. Urban inspired, high-tech and intuitive, Capri by Fraser empowers residents with a menu of intelligent services to choose the way they want to rest, relax and recharge. Its “always on” e-efficiency experience includes iPad activated check-ins, interactive e-concierge, AirPrint and Wi-Fi e-Print facilities for business, meeting rooms with interactive walls, and a Data Box to charge all digital devices. Should residents so wish, a selection of unique leisure experiences, ranging from Harley motorbike rides and sports car drives to salsa dancing and personal pilates sessions, are also available as part of Capri by Fraser’s customisable online menu. The hotel residence’s spacious suites, complete with premium bathrooms, walk-in wardrobes, fully equipped kitchenettes and living areas, provide a relaxing abode for residents that allow more freedom of space than that of the average hotel room. They also come fitted with impressive home entertainment systems that include LED TVs, DVD players and iPod docking stations to add to the pleasure of “staying in”. Public areas become expanded social living spaces that adapt to different moods and functions with a wide range of food and beverage options including a bar, an all-day café and deli where food is accessible 24×7. A laundrette offers different types of play from Wii and XBox Kinect to boardgames so that doing laundry becomes more of a social experience. The 24×7 flexibility also extends to that of working out in the Gym. “Capri by Fraser bridges the gap between hotels and serviced residences to meet the short term accommodation needs of the 24×7 digital generation who work and play to a different beat from that of the business travellers of the past,” said Mr Choe Peng Sum, Chief Executive Officer of Frasers Hospitality Pte Ltd.
All Capri by Fraser properties will have hotel licences and there are plans to roll out the brand aggressively across Asia, which will start with the launch of its flagship property Capri by Fraser @ Changi City, Sinagpore in the third quarter of this year. This will be followed by the opening of two more properties Capri by Fraser @ Bangsar, in Kuala Lumpur Malaysia and Capri by Fraser @ District 7-HCMC, Vietnam. Frasers Hospitality Pte Ltd’s current portfolio, including those in the pipeline, stands at 73 properties in 39 key gateway cities, and more than 12,200 apartments worldwide.